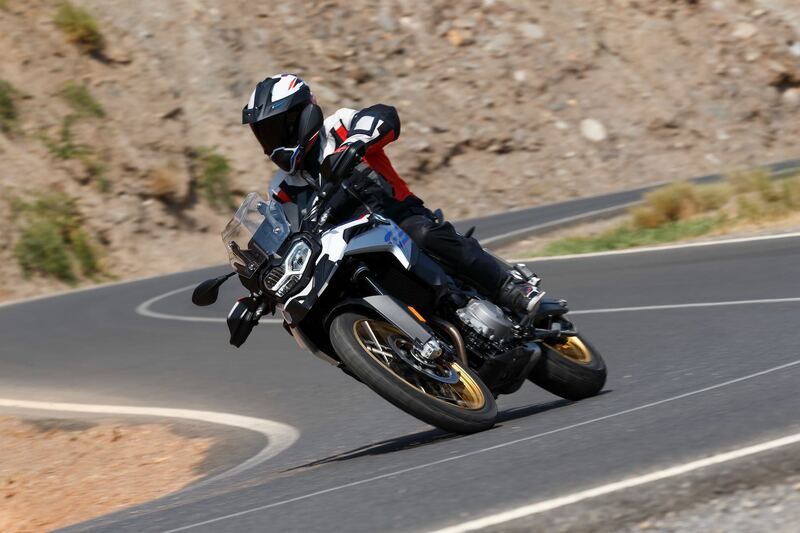 Now BMW’s GS Adventure Line-Up gets serious with two new middleweights that have not only grown in displacement but also in handling and electronics. In 2018 we will see a brand new BMW F 850GS and F 750GS in the range. Both bikes share the same powerplant, but with different tuning. The old 800GS parallel twin grows to 853cc, and now produces 95 horsepower at 8250 rpm (up from 85), and 77 horsepower at 7500 rpm on the new F 750GS (up from 75). The 2018 F 850GS makes 68 ft/lbs of torque at 6250, and the F 750GS 61 ft/lbs of torque at 6000 rpm. The engines now feature two counterbalance shafts to help absorb vibrations, a crankshaft journal that is offset 90 degrees, and a firing interval of 270/450 degrees for smoother power delivery. The former 798cc engine, which was developed with Rotax, has a 360-degree firing order. The six-gear transmission continues to delivers power to the rear wheel with a chain, but the drive system is now positioned on the left-hand side. Plus the 2018 F 850GS and F 750GS are equipped with a slipper-and-assist clutch. 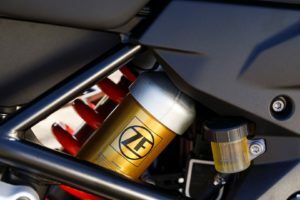 Besides a redesigned and more powerful engine, the F series GS motorcycles have a stronger monocoque steel frames that use the engine as a stress member to save weight and improve chassis feel. BMW says the monocoque setup offers benefits in terms of torsional rigidity and robustness. Both the F 850GS and F 750GS both come standard with Road and Rain riding modes as standard, along with ABS and ASC (traction control). 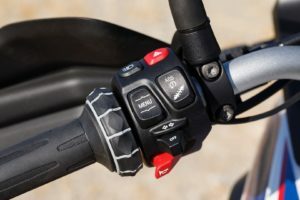 For those who demand more adjustability, Pro riding modes with ABS Pro (shut off rear wheel ABS), DTC (traction control while leaning), and the new riding modes – Dynamic and Enduro. Enduro Pro is also available on the 850GS as an option. The fuel tanks have moved to the classic position between the seat and steering head vs. the previous edition’s under-seat gas tank. The new F series GS bikes also receive redesigned bodywork and windscreens for improved wind and weather protection. 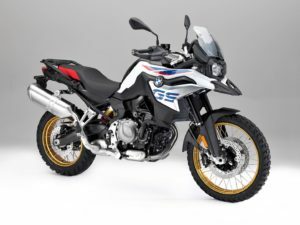 The 2018 BMW F 750GS has 19-/17-inch cast wheels, and is available in Light white, Austin yellow metallic, or an Exclusive version with Stereo metallic matte paint and hand guards. The 2018 F 850GS gets 21-/17-inch spoked wheels, and is available in available in standard, Exclusive and Rallye versions with hand guards and special paint and finishes. Other optional equipment features ESA electronic suspension, a full LED headlight with LED running light, a 6.5-inch full-color TFT display plus numerous features as optional equipment, Intelligent emergency call, Keyless Ride, and Gear Shift Assistant Pro. previous post: A New Era for KTM. The 790 Twin Duke. next post: NO MORE WAITING. ESCAPE. BE INDEPENDENT. GET AWAY!